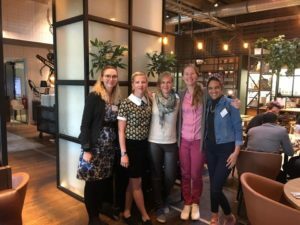 Trajectorya members supported the Anna Lindh Network Days for Intercultural Citizenship Education (August 26-31 in Helsinki), a joint event of 9 national Anna Lindh (ALF) networks in Finland, Sweden, Denmark, Estonia, Germany, Poland, Turkey, Morocco and Tunisia. 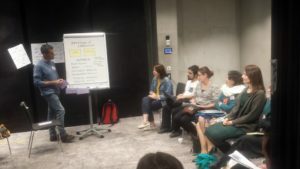 The event was divided into two separate but thematically interrelated parts: a regional forum (August 26-27) and a regional training on intercultural citizenship education (August 28-31). The Anna Lindh Network Days aimed at connecting the Network members from the north and south of the Mediterranean interested in or involved with intercultural citizenship education to discuss and identify issues related to intercultural citizenship in their respective countries and to learn about regional differences and similarities and best practices. The project followed recommendations of the Malta EuroMed Forum of 2016, which identified education as a strategic theme for future intercultural dialogue and youth as one of the key target groups by placing education at its center and targeting youth and educators. It brings together the strengths of national Networks to use, promote and further develop the new Handbook for Intercultural Citizenship Education published by Anna Lindh Foundation in 2017. The Handbook is a tool to support learning with young people focused on the knowledge and skills to play an active role in civic life at the local and international level. The Handbook covers both theoretical and practical aspects of intercultural citizenship learning, including practical case studies from across the Mediterranean region and has been developed and revised by Trajectorya Team. You can download it, here.